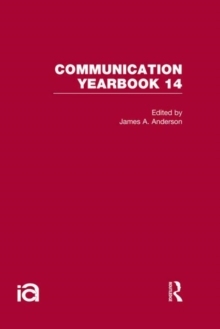 Communication Yearbook 14, originally published in 1991 delves into research concerned with: audiences - their effect on the mass media and how the mass media effect them; the quality of mass media performance and public opinion; the study of contemporary media from an organization studies approach; the implications of propoganda; the pressure of public opinion; and media agenda setting, among other issues. Commentaries provide refreshing viewpoints to each chapter, enhancing each chapter with complementary, or sometimes competing perspectives. Once again Anderson has brough together an internationally distinguished team of contributors who have created a forum for discussing cutting-edge topics in the field.